We had a great summer filled with epic crazy adventures with highlights definitely including hiking across a glacier as a family and backpacking into remote huts with friends. 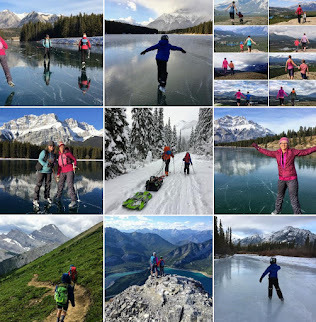 We'll remember our days spent rock climbing, ascending big mountains, and hiking far into the backcountry of our provincial and national parks - with great photos to preserve the memories far into the future. Ask my 7 year old though what his summer highlights were and they will be different from our adult ones. Rather than listing off the "epic stuff," he'd list biking to Okanagan Falls for ice-cream at Tickleberry's and jumping off the bridge into Okanagan Lake on our August summer vacation. He'd say that he loved playing at the Peachland Beach where they had diving boards, a rope swing, and a zipline - straight into Okanagan Lake! He'd list the time spent at the Kelowna and Penticton Wibit Aqua Parks, every single game of mini-golf, and every new playground he visited on vacation. Our favourite place to visit on our summer vacation is the Okanagan region in sunny British Columbia. 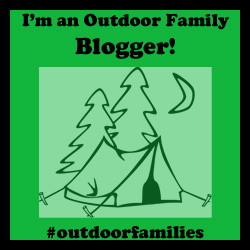 We usually camp or find a place to stay near Penticton and then do day trips all around the valley from Kelowna down to Okanagan Falls or Oliver. The Okanagan region offers up consistent sunny hot weather and we have enough fun things to keep us entertained for weeks. Below are our top ten favourite things to do in the Okanagan should you want to plan your own BC vacation.We've already made our campground reservation for next summer and are stoked to be spending another summer making memories in the Okanagan. 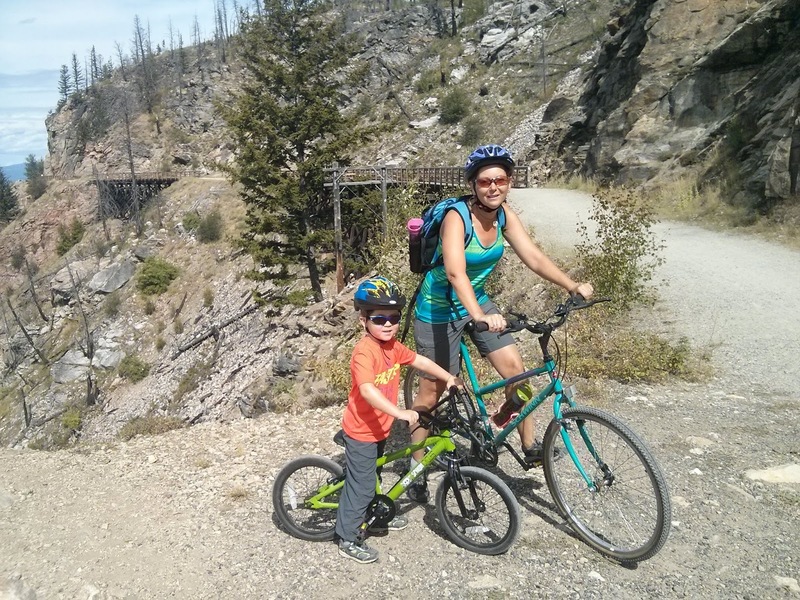 An annual summer favourite, we love biking from Penticton to Okanagan Falls on the Kettle Valley Railway (KVR) Trail. This section of rail-grade trail is relatively flat and travels right beside Okanagan Lake for scenic views much of the time. The trail is not paved (so save it for after the training wheels come off,) but would hardly be considered "mountain biking" either. The only challenge you'll face is the odd sandy bit that can be walked across. The distance of this ride is 13 km one way and we usually just ride it from Penticton to Okanagan Falls. Then an adult rides back for the vehicle while we are hanging out in Okanagan Falls at the beach or at Tickleberry's having ice-cream. Other times, we've had my mother meet us at the other end when she accompanies us on vacation. For a shorter ride, you can also start at the town of Kaleden and ride round trip to Okanagan Falls and back. The Kaleden to OK Falls section is the easiest with less sand. It is better maintained over all (less overgrown) and generally best for the novice rider. For more on biking the KVR, read my previous story: Biking the Kettle Valley Railway from Kelowna to Osoyoos. Jumping off of the trestle bridge just outside of Okanagan Falls. The next section of the KVR that we love to ride each year is from Naramata to Penticton. This section of the trail is almost entirely all downhill and at a rail grade, makes for easy coasting. There are different places to start your ride from but I recommend doing it in the Naramata to Penticton direction with a shuttle set up or a family member willing to pick you up at the end. Alternately, an adult could ride back up for the car while you hang out in Penticton below. For more on biking the KVR from Naramata to Penticton (or from the Little Tunnel to either Naramata or Penticton,) check out my previous story: Biking the Kettle Valley Railway from Kelowna to Osoyoos. Stopping at Hillside Estate Winery below Naramata to sample local wines and grab a snack or lunch on the patio. There is even a path leading down to the winery from the KVR so don't worry about missing the exact spot you should leave the trail. Playing at the brand new, as of 2018, Poplar Grove concrete bike park right across from the Hillside Estate Winery. Finishing our ride at the Bench Market, mentioned above. It seriously has the best coffee in Penticton. Beach time at Manitou Park in Naramata. This beach is much less busy than other Okanagan beaches, has grass, two playgrounds (one directly beside the beach,) and picnic tables. As of 2016, it had a great dock to jump off of as well but it was washed away in 2017 from a spring flood. Hopefully it returns in the future. We always make a point of coming here for an afternoon either after biking or on a separate outing. An annual tradition! You can pick up your own floatie, raft, or inflatable water vessel at Canadian Tire in Penticton and then head down to the channel for a couple hours of peaceful floating while you say hi to the local duck population. The only challenge for this outing is finding a way to get back to your vehicle at the end of your float. We've found a few options for this one. A. Have an adult bike back (stash a bike at Skaha Beach ahead of time) while the rest of the family hangs out at Skaha Beach. B. Pay for the shuttle for at least one adult from Coyote Cruises and rent tubes as well if you need. Note, you'll want to find out how far the shuttle is going though because sometimes they will only pick you up from the half way point rather than at the end of the channel. Tip for floating the channel: Go early! We always go in the morning before the crowds descend on this tiny channel. Otherwise you'll be playing bumper boats with the masses. Skaha Lake Beach and Sudbury Beach are both nicely situated at the end of the channel and have fabulous sandy beaches. They also have docks for jumping off of (a priority for my family when searching for a beach) and slides for little tots along the water's edge. Stand up paddleboards can be rented at Sudbury Beach as well which is a nice bonus. Other highlights would include walking, scooting, or biking along the paved pedestrian pathway along Skaha Lake over to the big playground and splash park at the far end of Skaha Lake Beach. En route you'll pass a Tickleberry's Ice-cream kiosk and a smaller "nature playground". For more on this area, check out the website for Skaha Lake Park. Now that you've spent time at Skaha Lake, it's time to head to Okanagan Lake on the other side of Penticton. WIBIT Aqua Park!! So far my husband's always gotten to go free on this (kids 7 and under get a free parent supervisor) but next year is going to get expensive when we have to pay for two of us to play on the Wibit. I suspect however that it's a cost we will happily pay because it's always a huge highlight for my son and one of the things he most looks forward to doing in the Okanagan. Mini Golf and other fun attractions at Loco Landing. While not entirely "cheap" it's pretty hard to say no to a couple of adventures at this theme park when the kids see it and immediately start begging to go check it out. What I love best about this place is that you can buy a value pass and let the kids try everything. The pass covers every activity in the park including Mini-Golf, Go-Karts, the High-level Ropes Course and any 7 Fun Zone activities! 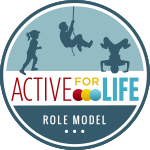 This year we just enjoyed the mini-golf and the high-level ropes course (which I got to accompany my son on for free) but next year we'd consider investing in the full value pack. Finally, we always end our Okanagan Lake day by heading across the street to Salty's Beach House. This restaurant/pub takes children on the main floor and has a fabulous patio! It's also a great place to watch the family on the Wibit if you have members not out playing. Hints for Salty's Beach House: Go early because it gets very busy here! If you want a patio table, go an hour before lunch or dinner would begin. Think 11am for lunch or 5pm for dinner. For more on Penticton and the surrounding area, check out Visit Penticton. A new "favourite thing to do in the Okanagan", we just visited the Skaha Bluffs south of Penticton for the first time this summer. While you can go here for a hike, rock climbing is the real "draw" and there are over 20 separate climbing walls/areas in this provincial park. We just headed to one of the first walls called "Daycare" to climb at because it was the closest to the parking lot and had a lot of easy routes on it. It's also one of the few places you can find "walk up" anchors for top roped sport climbing. To see a map of the climbing areas at Skaha, visit this link to the Skaha Trail Map. I'd also recommend picking up a copy of the guidebook to climbing at Skaha if you plan to do some family climbing here. If you want to try rock climbing but don't have the training or the gear, give Russ a shout with Skaha Rock Adventures. We met Russ in the parking lot at Skaha about to take a family out for a few hours of climbing and he had all the required gear, making it an easy outing for novice or first time climbers. Important safety notes if planning to visit Skaha in the summer: Go early because the sun bakes this park and you won't want to be hanging out much past 11am. Alternately, Skaha is a popular place to visit later in the afternoon when shade returns to the bluffs. Also watch for rattle snakes! We saw one while there and you wouldn't want kids running off down the trails a mile ahead of you, unaware of what to do if they see a rattle snake. Hiking out at noon, ready to find the nearest beach! Searching for an epic zipline adventure in the Okanagan, brought us to the ZipZone in Peachland: Canada's highest freestyle zipline at 381 feet high. "Six of the highest, longest , fastest, epic-est zip lines in Canada, criss-crossing the breathtaking Deep Creek Gorge. Breathtaking views, maximum exhilaration!" We did all 6 lines and had a BLAST. After, we headed downtown Peachland to Swim Bay and spent some time cooling off in the lake. Read about our adventure here: Vacation Fun in the Okanagan at the ZipZone, Peachland. Swim Bay is seriously the best beach in the Okanagan for those who like jumping into lakes rather than spending their day building sand castles. Swim Bay doesn't have much for sand but more than makes up for it in cool stuff to do as a family! Jump off of two diving boards! For more on the area around Peachland, visit Destination Peachland and make sure you stop to visit a winery or two on your way home from the beach. Tips for this ride: Arrive very early to avoid the crowds. Also, make sure your children are ok with basic bike skills which would include being able to pass pedestrians safely as this section of trail sees a lot of foot traffic near the beginning. The bridges are also fairly narrow so novice riders should walk them when the trail is busy. For more on biking the KVR from Myra Station to Ruth Station check out my previous story: Biking the Kettle Valley Railway from Kelowna to Osoyoos. We recently discovered the Kelowna Mountain Bike Skills Park off of the Mission Creek Greenway which was a great place to spend an hour or so. There's a pump track, jump park, and a wooden structure with ramps. Check out the map on the site above and plan your return route from Myra Canyon so that you pass by the bike park. 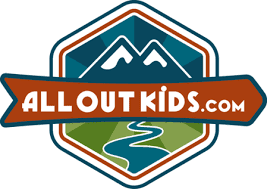 We visited WildPlay Kelowna for the first time this summer, enjoyed our first high ropes aerial course, tried an awesome guided zipline course, and challenged ourselves on the "What's to Fear" free fall jump. It was an AMAZING day and we'll be back next year for sure. The Monkido aerial park was our favourite part of the day and you can read all about it in my recent blog post: Getting "Wild" on our Summer Vacation in Kelowna. We always spend at least half a day downtown Kelowna at Hot Sands Beach and City Park. For more on family fun in Kelowna, visit the Tourism Kelowna website. Number ten is more of a general thing, but we try to fit a wine tour or two in to each day spent in the Okanagan. Fortunately there are vineyards spread across the entire valley and there will always be a winery near your chosen activity for the day. And finally, no visit to the Okanagan is complete with a visit to the Bad Tattoo Brewing Company in Penticton. They have fabulous pizza and equally awesome handcrafted beer. I'm currently in love with the Tramp Stamp Pale Ale and can't bring myself to enjoy any other beer anymore. It's that good! Newly discovered as of 2018, my son is a huge fan of the Covert Farms Family Estate Winery south of Penticton, where you'll find a giant bouncy pillow for the kids, farm games, animals, and a huge field to run around in after tasting the wine. And I have to give a shout out to my personal favourite winery, Silver Sage Winery, south of Oliver. We've visited this winery twice now and come home with a box of wine each time. We love that there is no tasting fee, you get to sample at least 8 different wines (including dessert wine,) and you can munch on cheese and pretzels while sampling the wine. There's also a beautiful patio area for children to read books or play while you taste the wine. These days, everyone seems so busy that it can be hard to find time for family activities whether they are weekend trips, week long vacations, gathering for lunch or dinner, or even just brief visits.